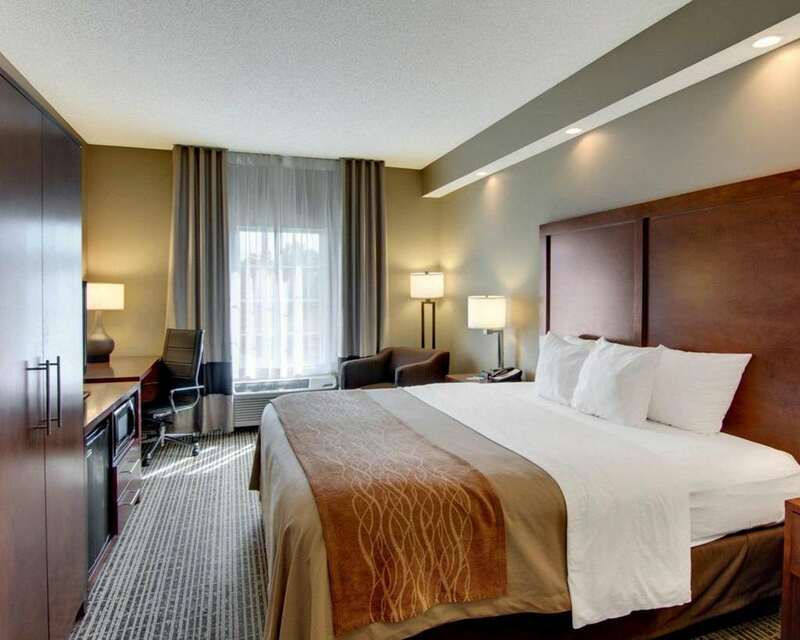 Our Comfort Inn hotel in West Monroe, LA will help you get rested and ready for your busy day. Our hotel offers easy access to West Monro Ike Hamilton Expo, Kiroli Park, Duck Commander, Landry Vineyards and the World of Coca-Cola Museum. Traveling for work is easy with our copy and fax services. Other hotel amenities include free WiFi, free coffee, outdoor pool and a fitness center. Unwind in one of our guest rooms, all of which feature a flat-screen TV, hair dryer, coffee maker, iron and ironing board. You can also enjoy rewards when you sign up for our Choice Privileges program.